What does The Franchise Matcher Business Cost? 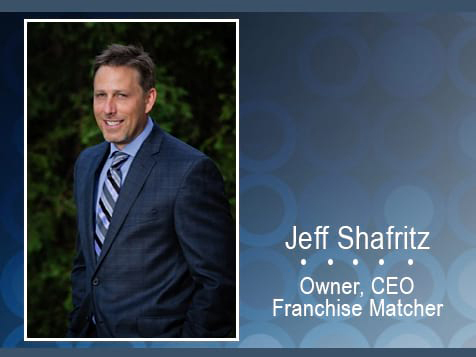 Let Jeff Shafritz, The Frachise Matcher, help you find a business to own. Having a consultant with the experience and credentials to help you through the franchise buying process is the single best way to set yourself up for success. Open The Franchise Matcher in any of these available states: AZ, AR, CA, CO, CT, DE, FL, GA, ID, IL, IN, IA, KS, KY, LA, ME, MD, MA, MI, MN, MO, MT, NE, NV, NH, NJ, NM, NY, NC, OH, OK, OR, PA, RI, SC, TN, TX, UT, VT, VA, WA, WI, DC. I’m Jeff Shafritz, The Franchise Matcher, and, for the past 25 years, I've been helping people interested in choosing and purchasing a franchise save time, money, and energy during the process and avoid making potentially life-altering mistakes. I have access to a wide variety of franchises which I match to individuals, like you, seeking greater financial freedom, career control, and/or investment diversification. 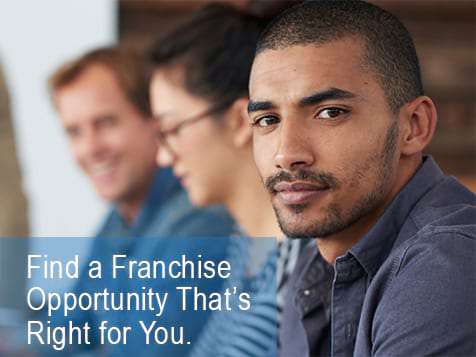 Considering a franchise purchase is the first step – and that’s why you’re here. But successfully walking the path to ownership is a complex process that calls for expert guidance – and that’s why I'm here. Every franchisee has unique motivations. Once I understand what’s driving you, I'm able to identify specific franchise organizations that could best serve as the vehicle for realizing your objectives. I can be your guide through each step of your franchise purchase – one whose mission is to help you make the most educated decisions possible about this big change in your life. I've helped hundreds of people realize their business dreams. I evaluate your motivations and goals, build a model for your franchise research, and introduce you to pre-screened franchise opportunities. Most importantly of all, my services are completely free of charge to you as the costs of franchise consulting and matchmaking are always absorbed by the franchisor. To arrange for an initial consultation with me, fill out the inquiry form, and someone from my office will contact you very shortly. Helping you fulfill your professional passion is MY professional passion. Let's do this together!